Here is a reason to feel good for those Microsoft users who wanted Whatsapp Web functionality on both the Microsoft Edge and Internet Explorer. Whatsapp has officially launched its web client for the browsers. As followed on Chrome, this one too follows the QR code setup. You would be required to open the Whatsapp website in your browser and then open the Whatsapp application on your phone and go to the settings within it. You will find ‘Whatsapp Web’ option and as soon as you click on it, it will direct you to a page with QR code scanner, and then you will have to scan the code with the help of your device’s camera. As soon as it recognises the code, the Whatsapp Web interface will open in your browser. Now, you’re good to go with all that messaging without the need to use your phone. Whatsapp has been making a lot of buzz lately, few days ago, the app unleashed that it has a billion of active monthly users. And now, it has reached yet another milestone by launching its web client for more browsers. Moreover, not to forget it also abolished $1 annual subscription fee along with increased member limit of group members from 100 to 256. All this hustle bustle suggests that Whatsapp has now pulled up its socks to be the maverick in the league of instant messengers. 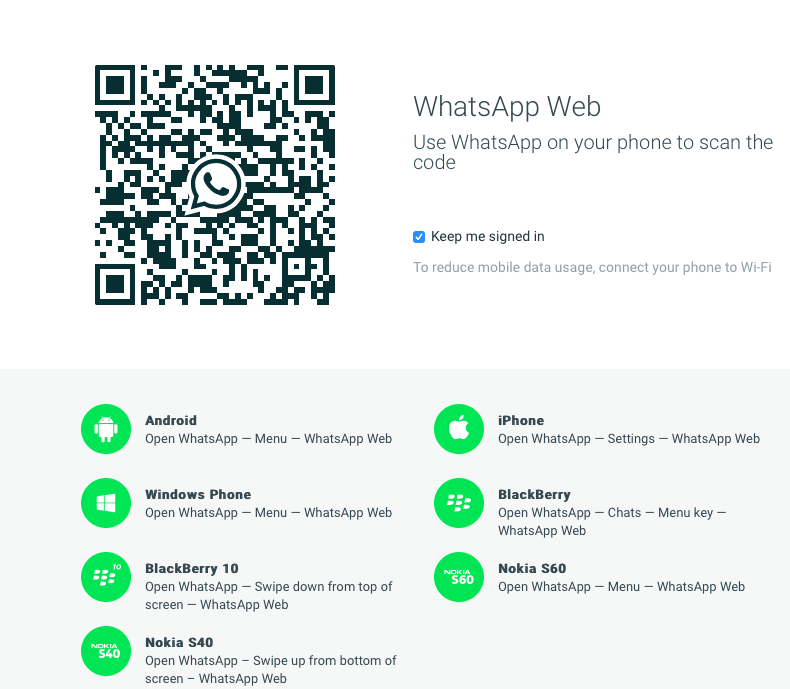 Still whatsapp is not dual compatible as it requires QR code scanning from PC. Use viber, telegram or nimbuzz. Whatsapp and hike cannot even come near VIBER, Telegram and Nimbuzz in terms of complete dual compatibility (in mobile phones and PCs / laptops).